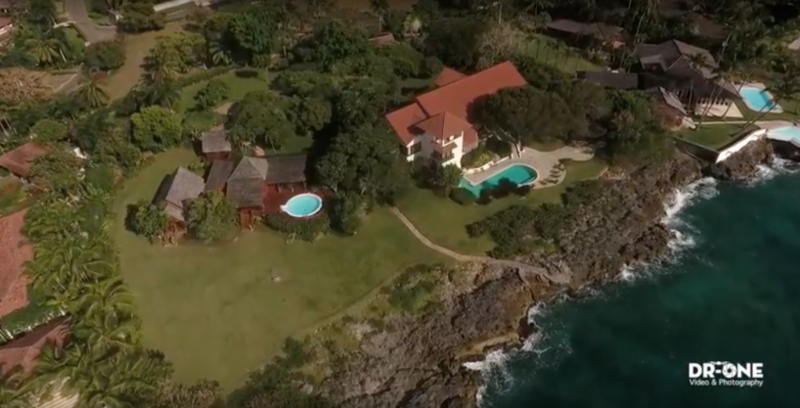 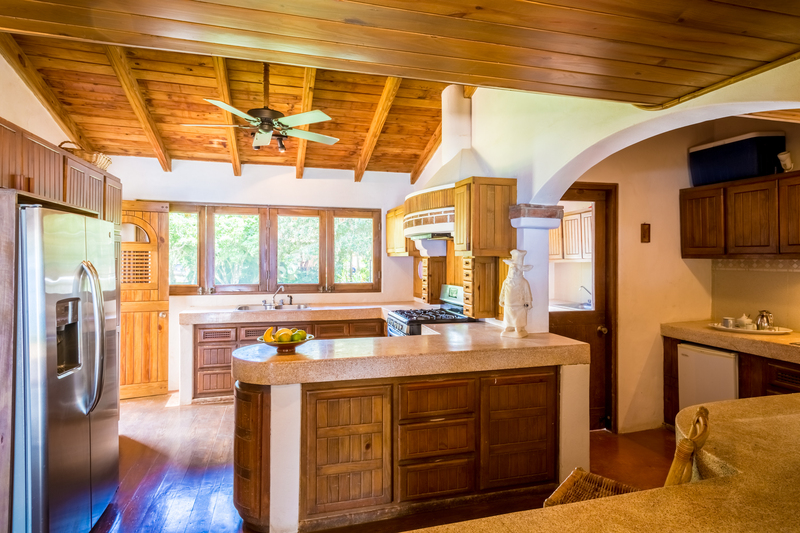 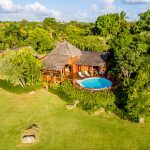 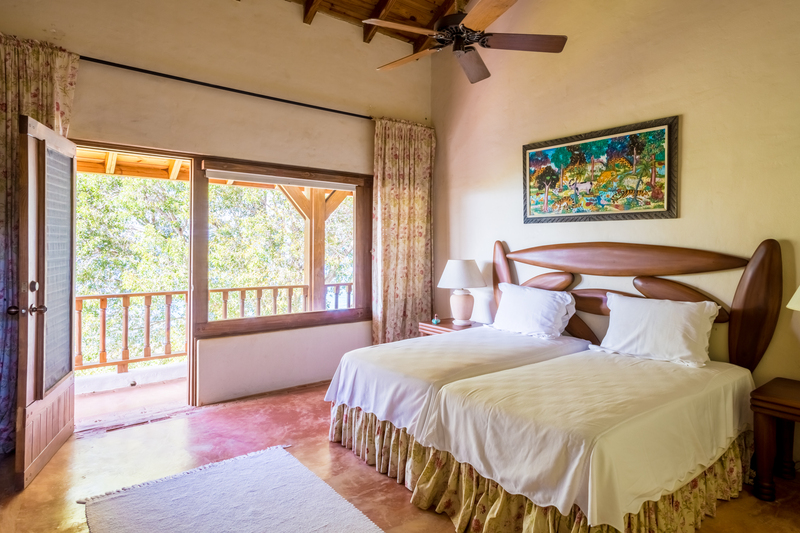 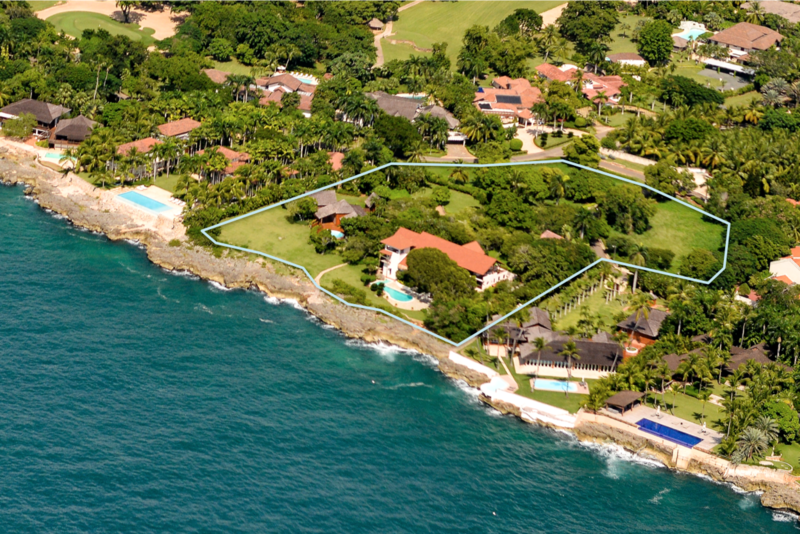 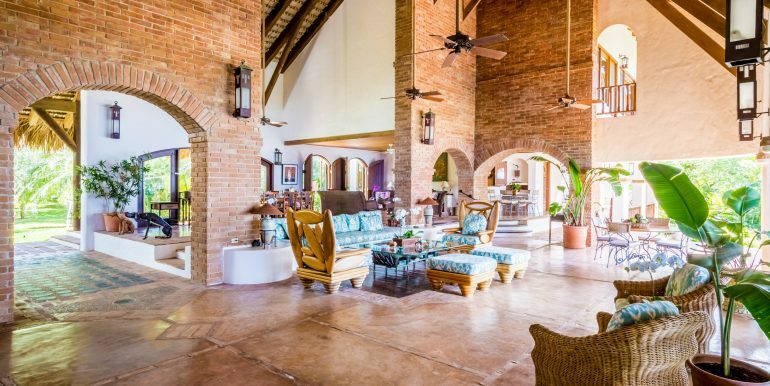 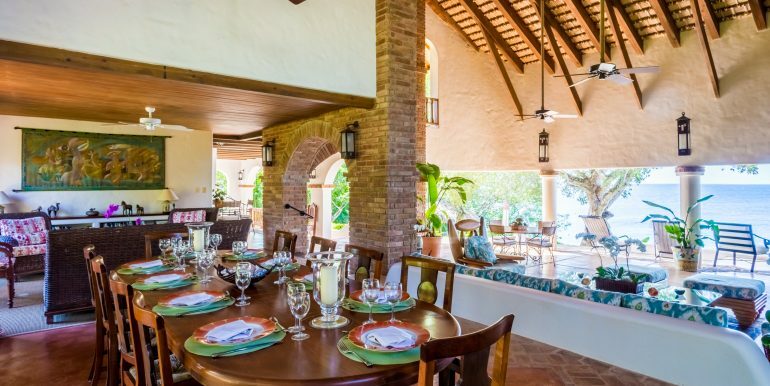 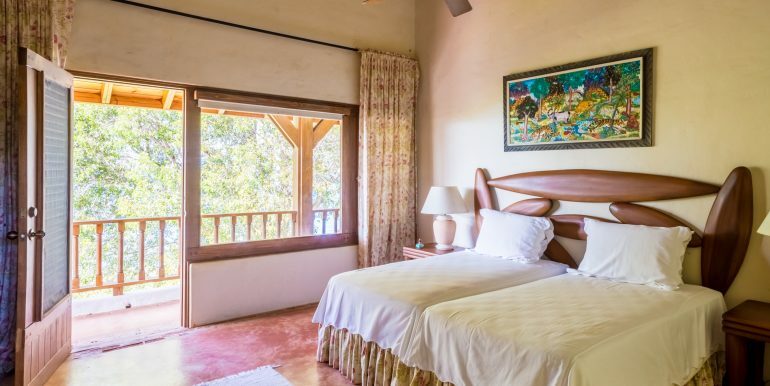 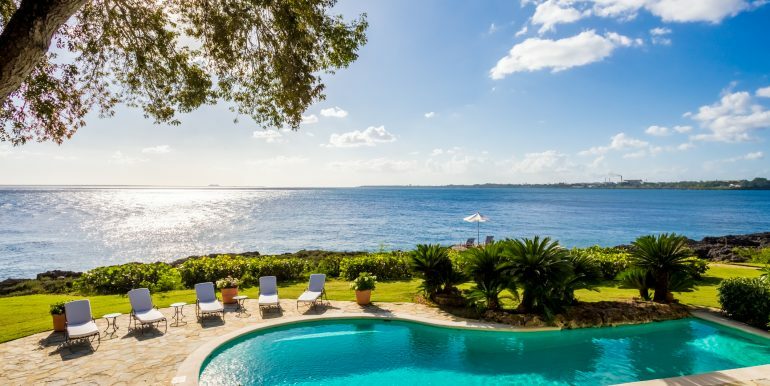 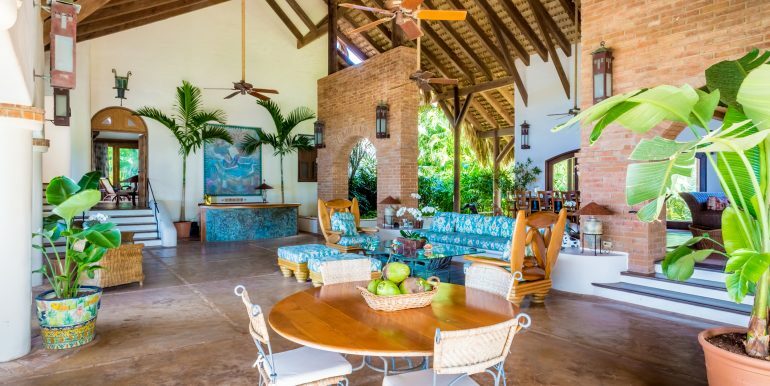 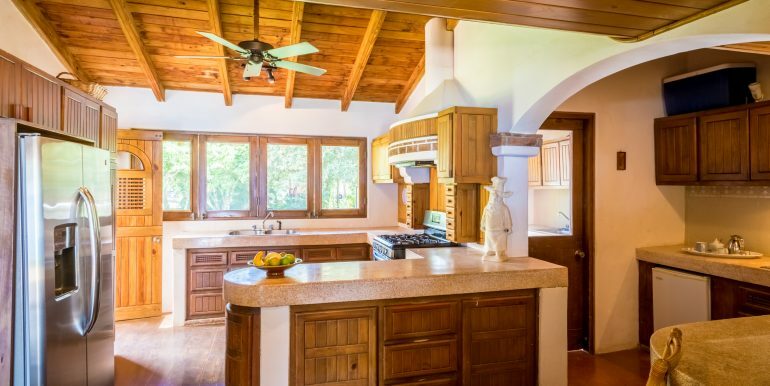 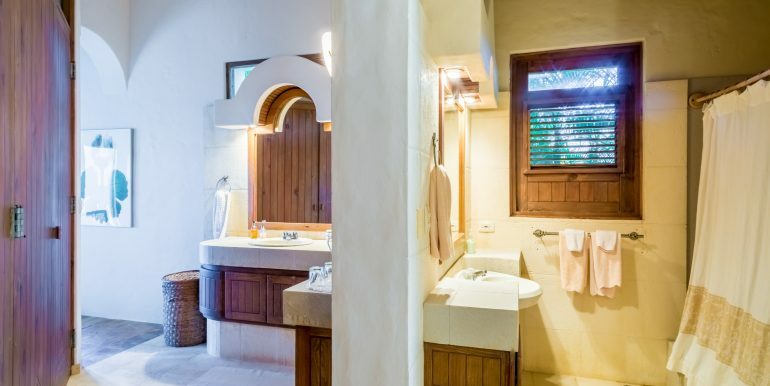 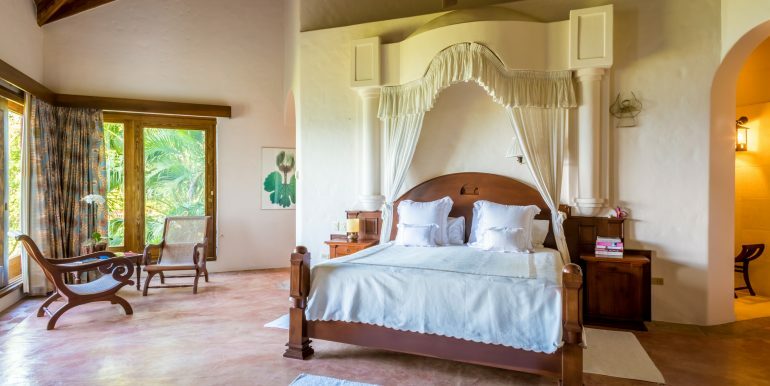 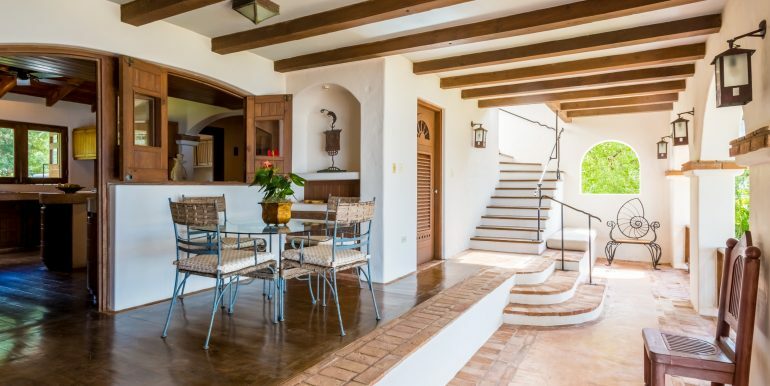 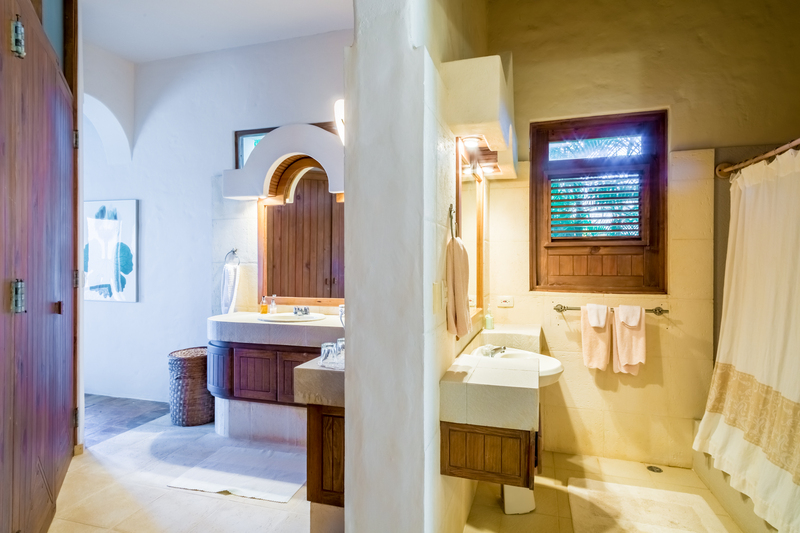 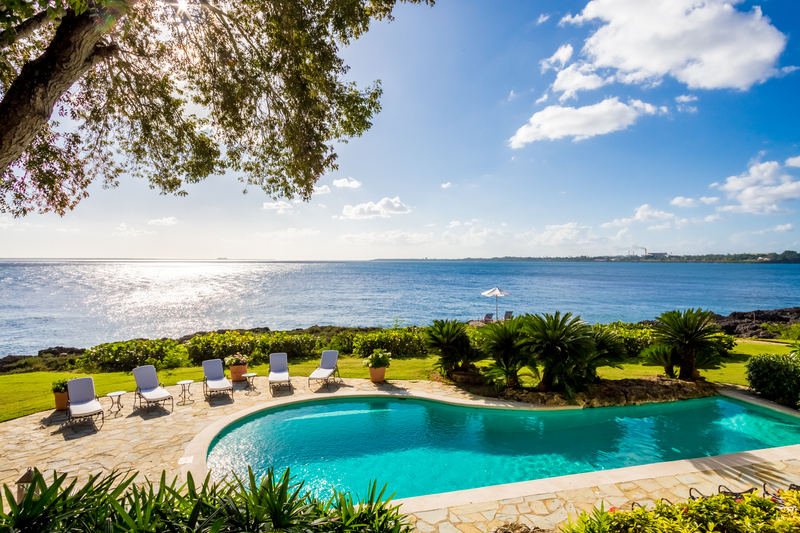 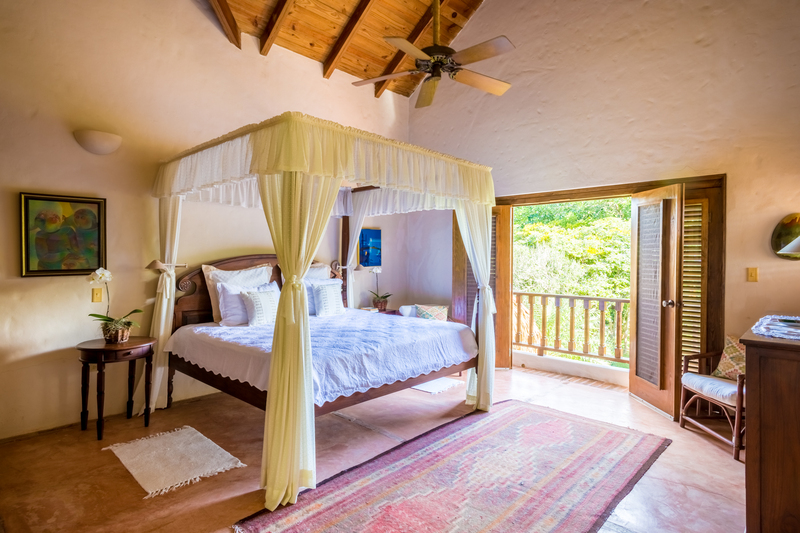 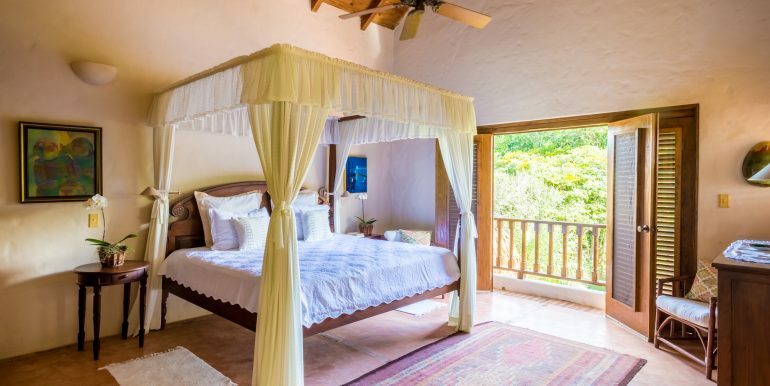 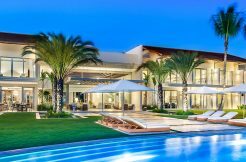 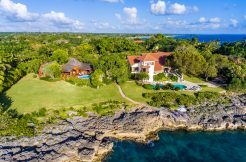 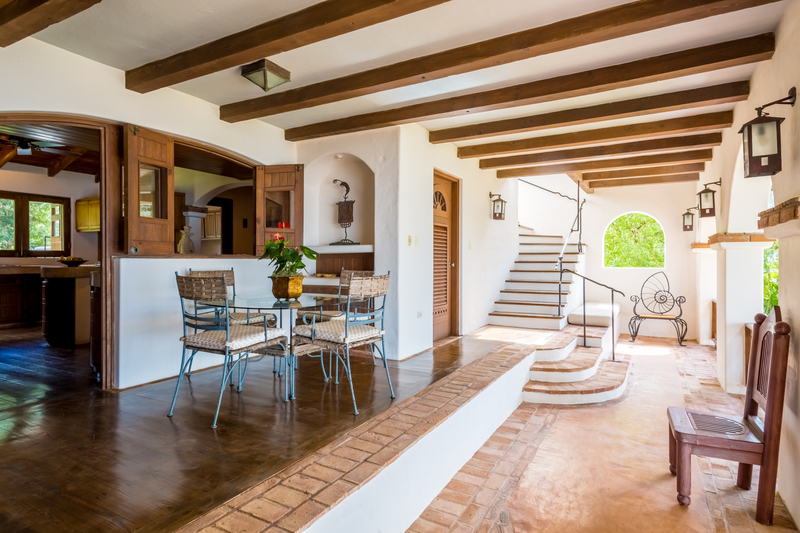 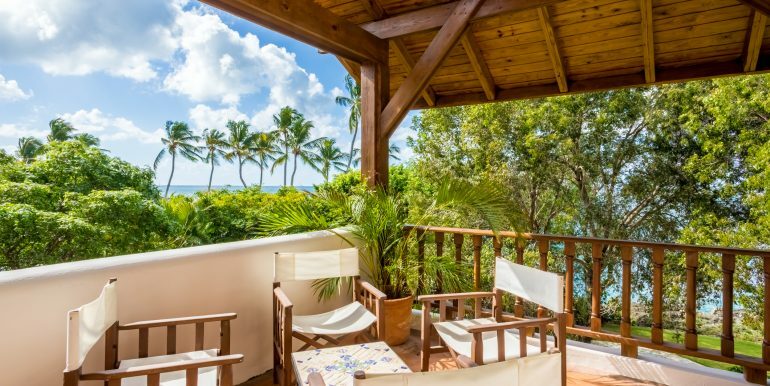 One of the best pieces of real estate for sale in Casa de Campo, this Mediterranean style villa sits on a 4,438.40 square meters land in a quiet area of Punta Aguila. 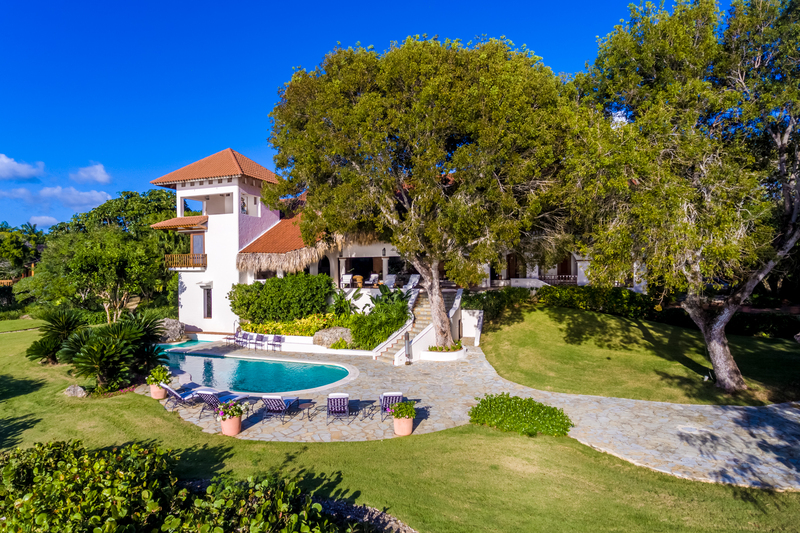 Featuring 4 bedrooms, 4.5 bathrooms, maid’s quarters, and several terraces. 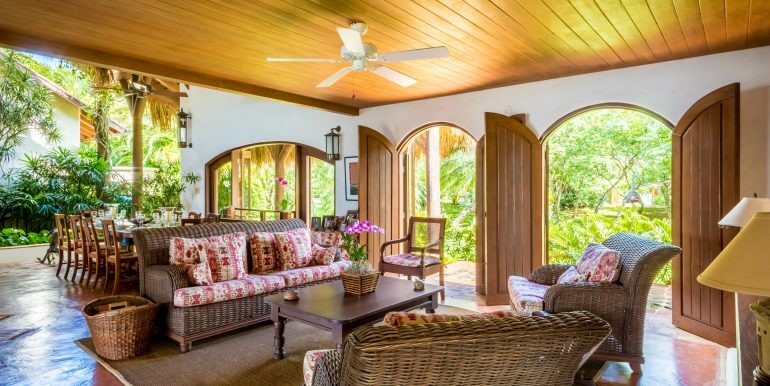 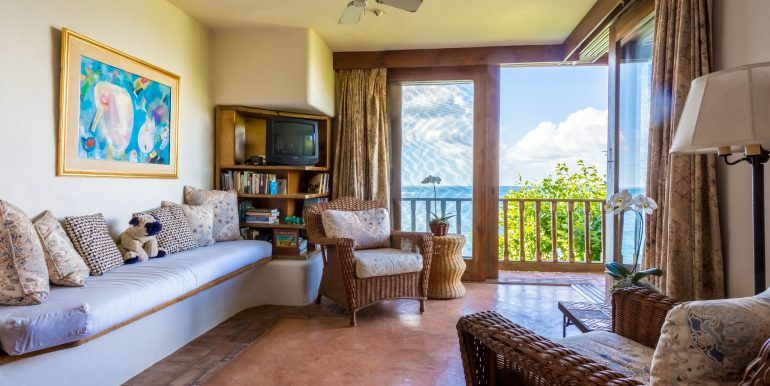 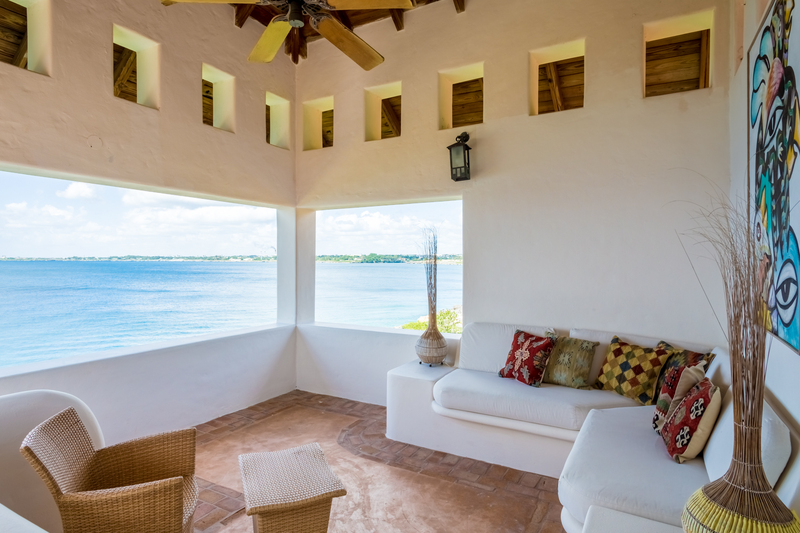 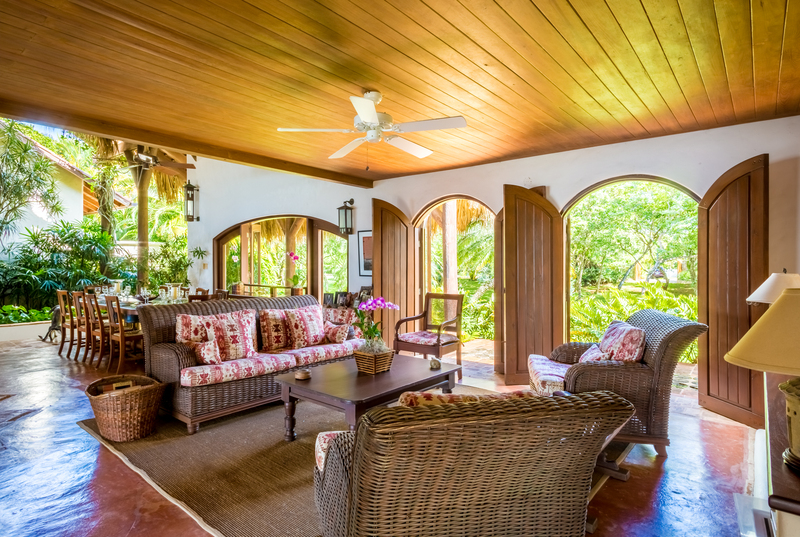 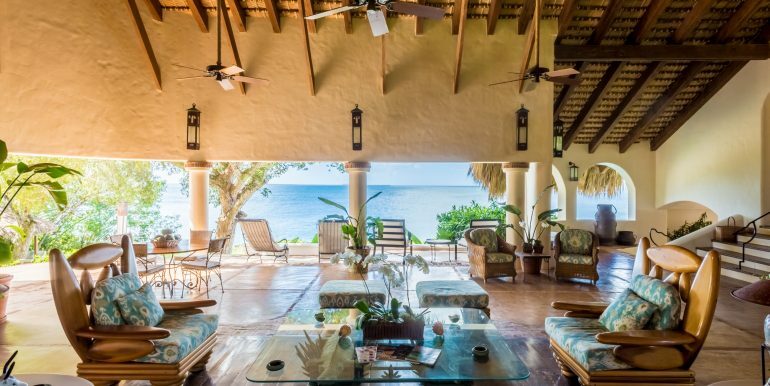 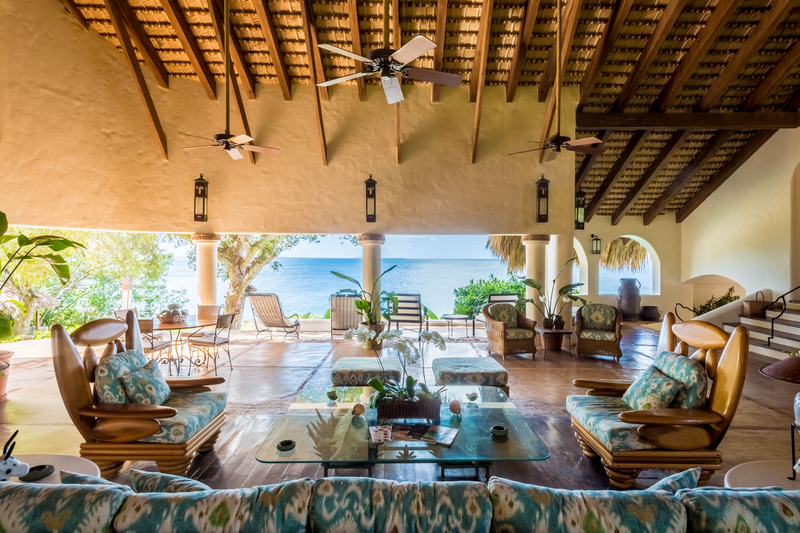 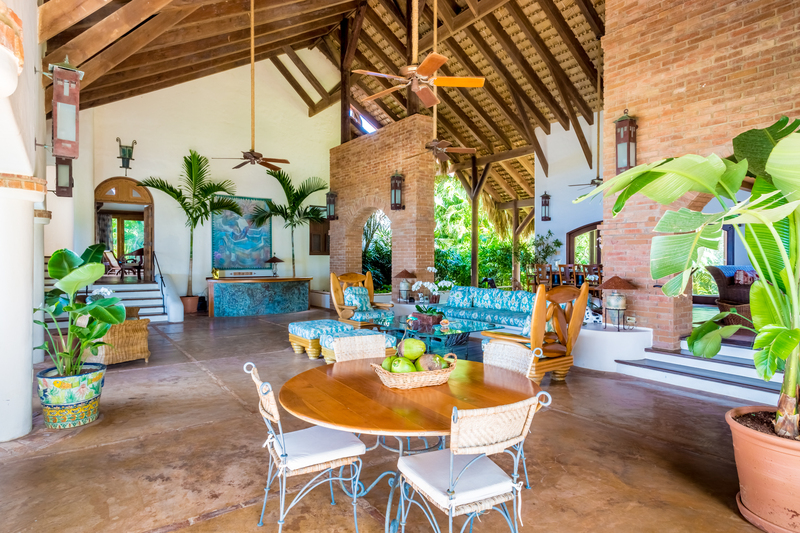 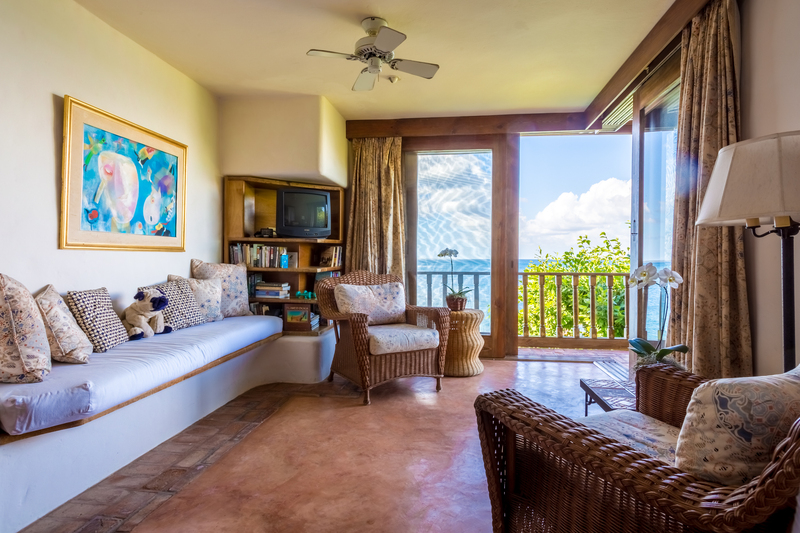 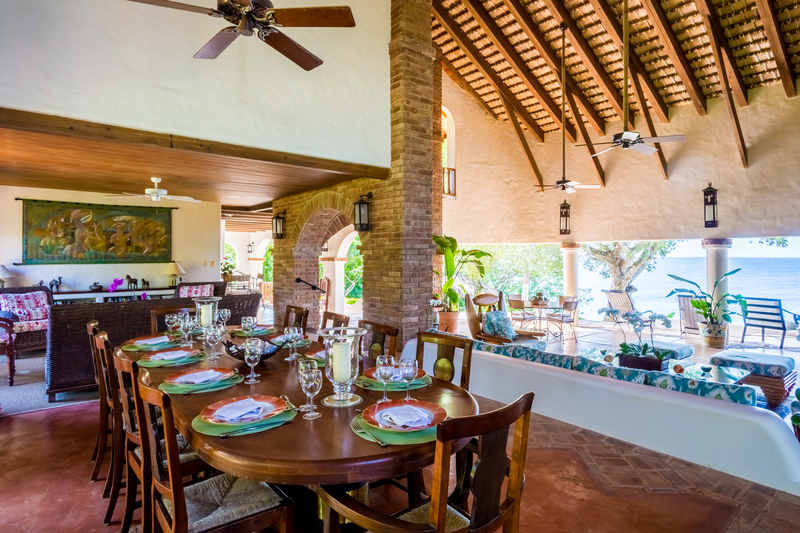 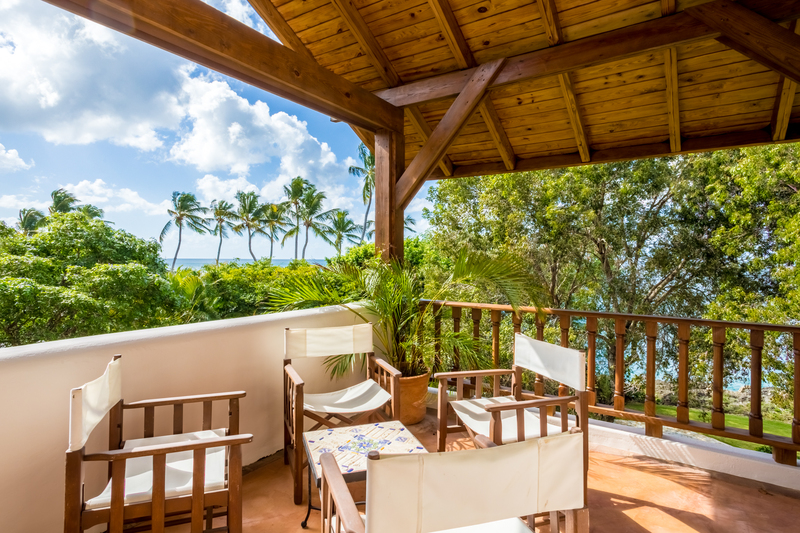 A spacious living room and dining area, which offer fantastic views of of the Caribbean Ocean and tropical gardens. 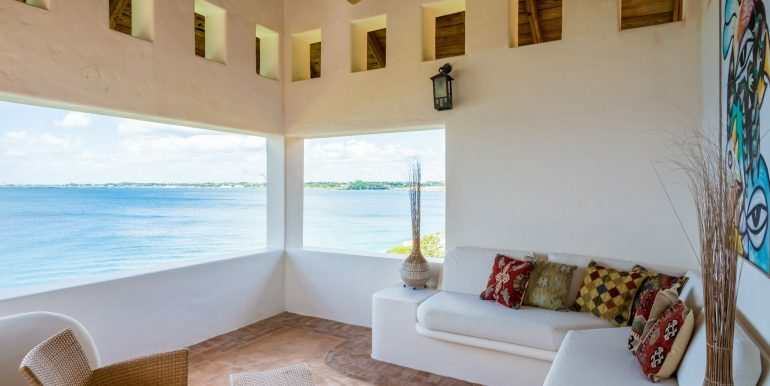 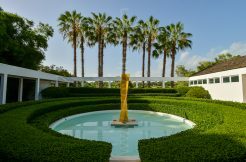 The Villa, furniture and Arts was designed by the Cuban architect Jorge Porto. 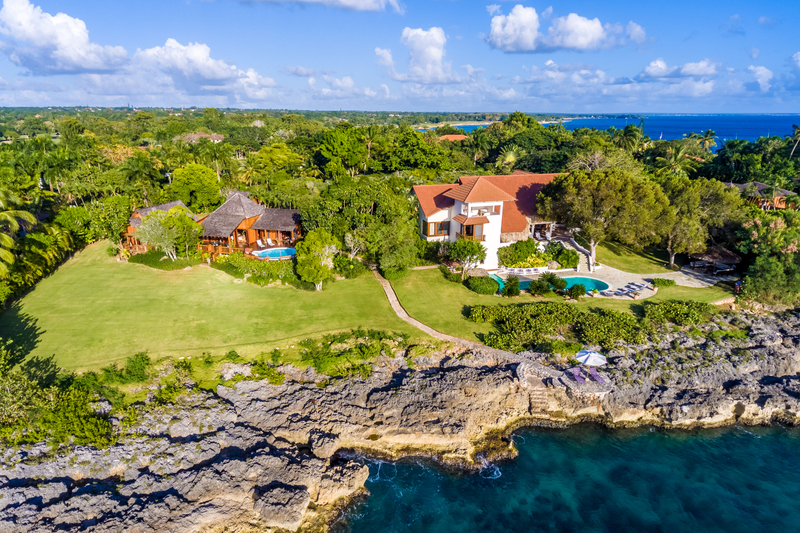 Welcome to the most exclusive resort destination in the Caribbean—Casa de Campo Resort and Villas—a stunning 7,000-acre hotel, resort, and residential community in La Romana on the southeastern coast of the Dominican Republic. 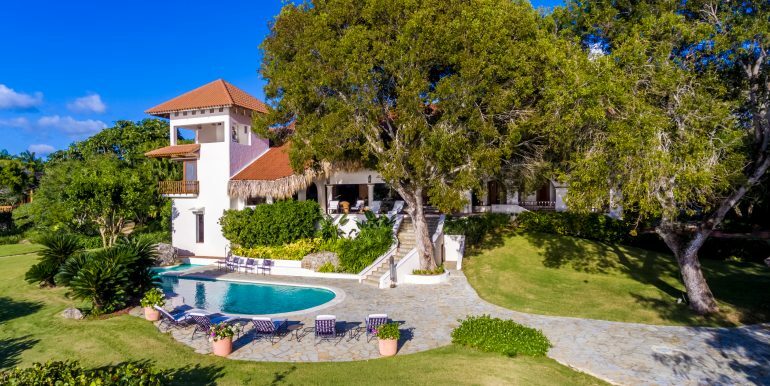 Our tropical playground features a unique array of amenities, including an expansive marina, tennis, and polo facilities. 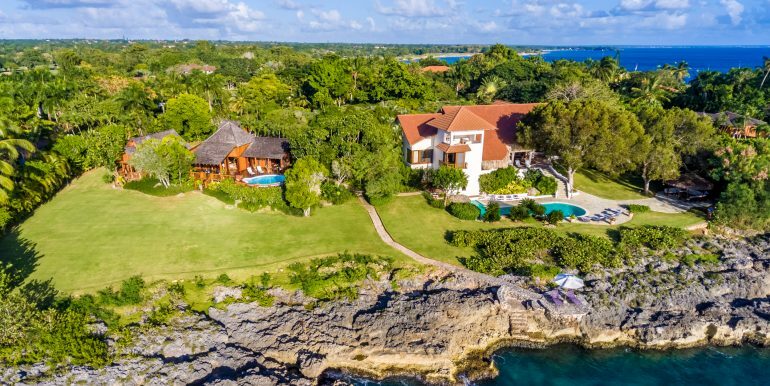 Casa de Campo is also one of the most sought-after Dominican Republic golf resorts featuring three championship golf courses — including Pete Dye’s masterpiece, Teeth of the Dog, the #1 ranked course in the Caribbean and number 39 in the world. 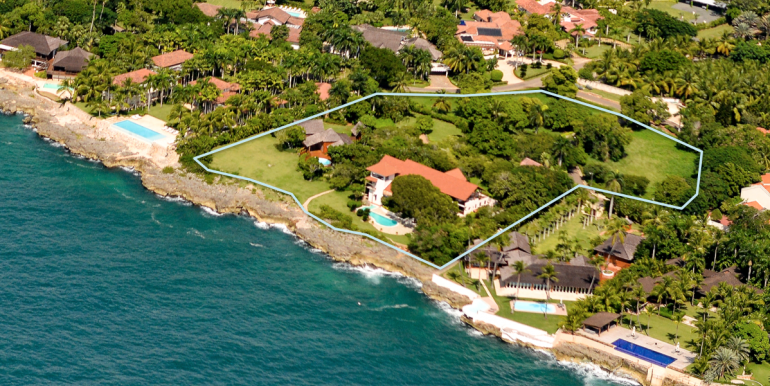 But more than anything, Casa de Campo is a state of mind and a way of life rather than just a mark on the map. 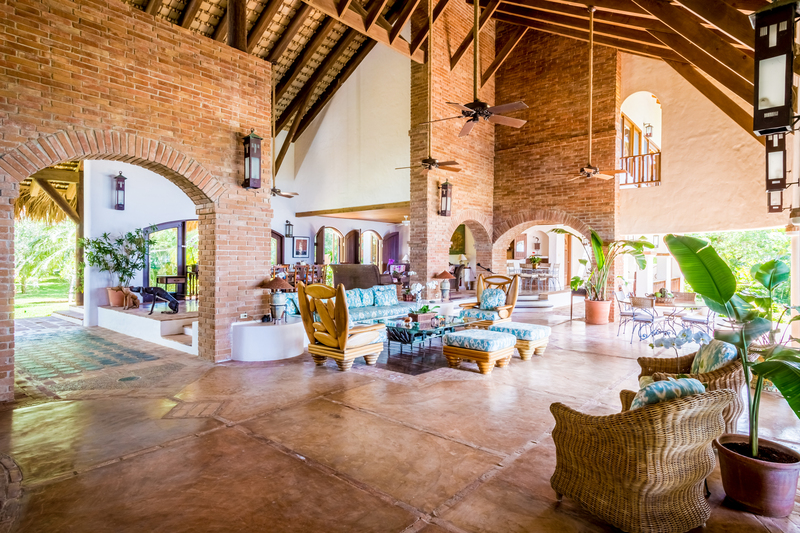 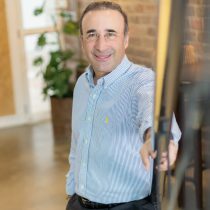 For new guests, we welcome you to experience our warm hospitality. 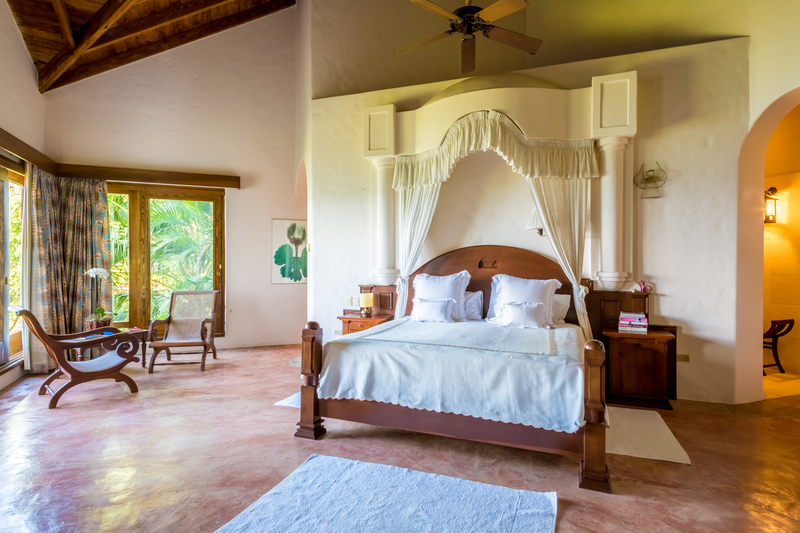 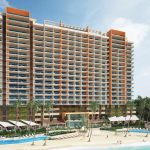 And for those who have already experienced our incredible resort, we can’t wait to welcome you back.